Tip  Meta description should be unique for each pages with targeted keywords. Do not stuff keywords into Meta description. Tip  Add Keywords towards H1 tag as page headlines. 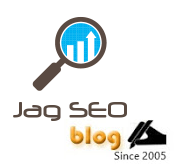 If you want these SEO tips in your site or blog as Gadget, feel free to use my SEO Tips of the Day Google Gadget that displays one SEO tip a day in your web page which can even help your site visitors to learn SEO tips and to get SEO and other Internet marketing Tweets follow me @jagadeeshmp , thanks for your time!